It’s that time of year again…time to break out your cleaning supplies and get started on spring cleaning! Getting started can be a little overwhelming, because you feel like you have to clean your entire house, and probably don’t even know where to start. 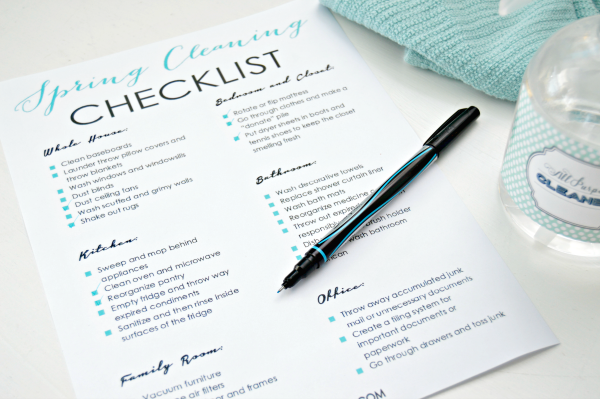 I like using a spring cleaning checklist, and going from room to room. This way you don’t feel like you have to do it all in one day, and you can check off the tasks you have already completed! This cleaning list isn’t for your normal cleaning like laundry and cleaning your floors. 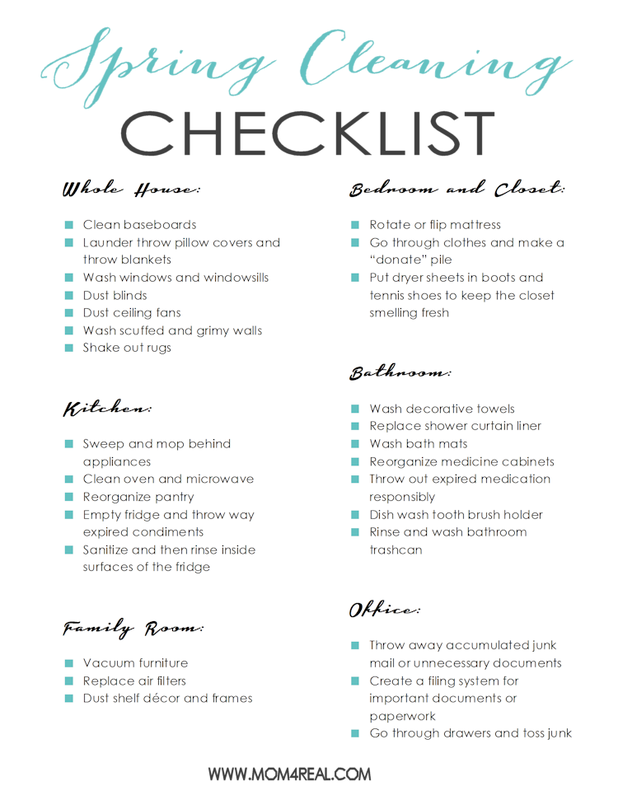 This list is for all of those forgotten areas of your home that need to be cleaned less often than the others. Things like your baseboards, your closets and your medicine cabinet. My awesome printable creator, Diana from The Girl Creative created these for me to share with you so we could all get cleaning! Like I said, you can take it room by room, or if you have really been bitten by the spring cleaning bug, just go after it and get as much done as possible! 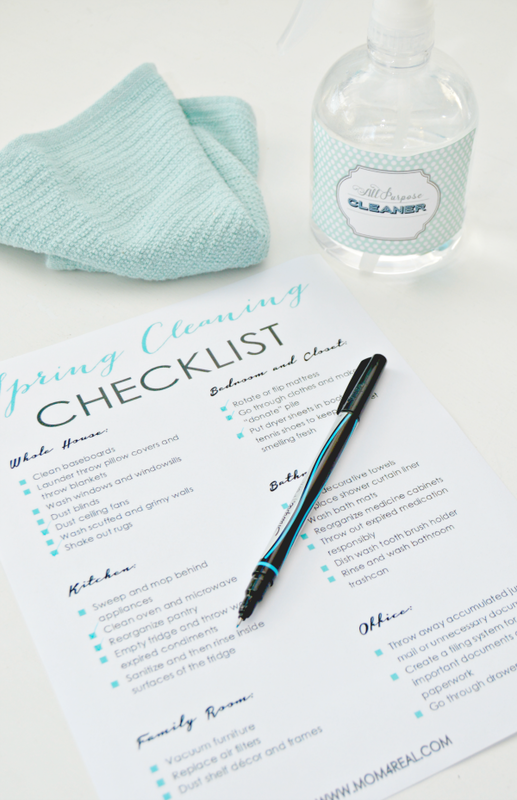 To download your own copy, simply click on the checklist above or click HERE for your Spring Cleaning Checklist! This will allow you to print out the correct size. If you just right click and print the photo above, it will not print the right way. Hopefully this list will help you get all of your spring cleaning done as well as help to remind you of a few items that you may forget to clean…I know it reminded me of a few forgotten places…like our toothbrush holders! 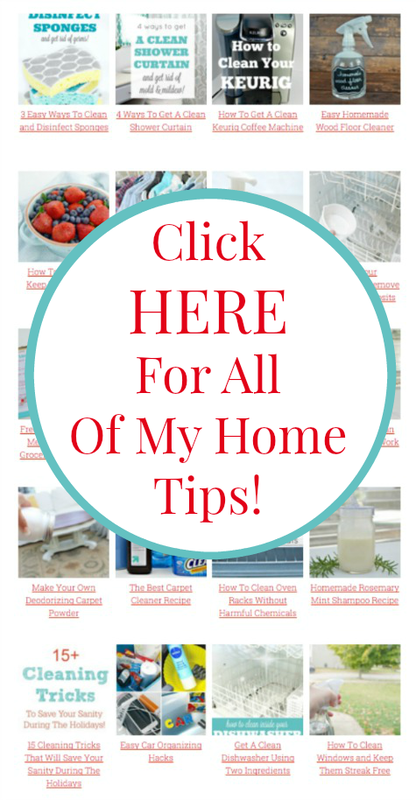 If you are interested in making some of your own cleaning solutions or figuring out how to clean everything in your home including How To Clean In Between The Glass On Your Oven Doors, click HERE to find them all on my Home Tips Page! You can even print out your own Cleaning Labels for all of my homemade cleaning recipes HERE so you can keep track of them. Plus, they are super cute, right? I always love your information. 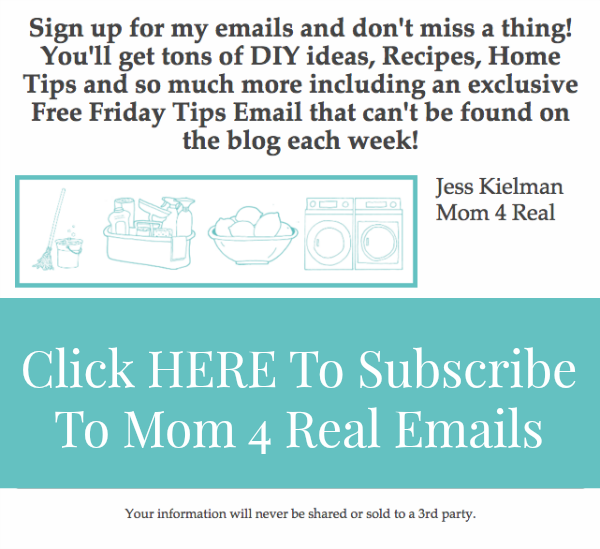 I hope its alright that I made a new pinterest board and its titled mom 4 real ideas (copied from blog) let me know if that’s ok. otherwise if you don’t want me to add to it or you would prefer I delete it. just thought it would draw moro people to your great site. Thank you Jessica. Even at my old age, your list is so helpful. Probably even moreso than for someone younger. Lol…helps me remember where i left off. Now if only motivation could pop out of the printer as well, we’d be golden. Keep up the excellent work. I love your blog and have made many of your cleaning recipes. They are especially appreciated by some of the moms of my students who are medically fragile and can’t tolerate chemicals–you’ve been a lifesaver for them! One question, though: do you have a list that I’ve missed of all or most of the ingredients used in the cleaning instructions? I find myself often getting ready to make something only to realize I’m missing one thing, Thank you for sharing all of your ideas! I love your recipes/ideas. I was wondering if you could somehow add a print button to your recipes. Maybe I’m lazy but I write down each one of the recipes on scrap paper and they’re all over the house. An idea that use for recipes is index cards that are lined because I could never write in a straight line for scrat. If I don’t like the way it looks then I slow down and neatly copy them over again. Scratch paper is okay but I transfer them to lined index cards. Just a friendly idea to help out. Thanks Jessica for your suggestions. I plan on going over your blog and writing recipes for cleaning supplies. I have two nosey kitties and worry about them coming in contact with chemicals. My older one gets under the kitchen sink when I run the sweeper and that is a worry for me.